While choosing a good pair of sunglasses is not exactly rocket science, the sheer number of options to choose from makes the endeavour quite difficult. The crucial thing to remember is that a decent pair of sunglasses has both aesthetic and practical functions. The bottom line is this: You'd like to look stylish while providing your eyes with ample protection especially from the sun's harmful rays. Apart from considering your facial shape, here are other important factors that you need to account for when buying a new pair of shades. The lens of quality sunglasses typically offer full protection against both infrared and ultraviolet rays from the sun. But apart from that, the lens of a good pair of sunglasses should enable you to see a wide spectrum of colours while ensuring that you get to see images clearly. Furthermore, quality lenses eliminate common issues that low quality lenses often have like lack of definition and visual distortion. In short, good quality lenses should not make your eyes work hard to compensate for any of its deficiencies. Many salespeople try to make a pitch by highlighting the technologies offered by the lenses of sunglasses. This includes polarised lenses. Polarised lenses can effectively reduce glare through their extra layer which serves as a filter against scattered light. This technology may be beneficial for some sportsmen and outdoorsmen. 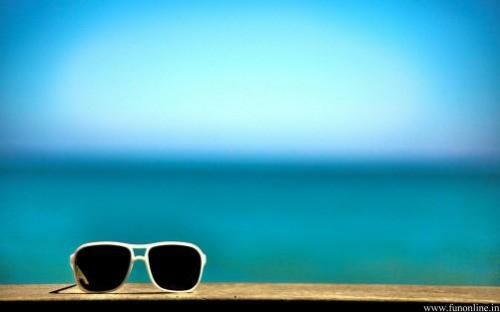 However, take note that polarised lenses can inhibit light transmission and make the horizon seem darker. Apart from protecting your eyes from the harmful rays of the sun, good quality lenses offer substantial protection against impact. For outdoorsmen and sportsmen, this is a definite plus and may be their primary consideration in choosing their next pair of shades. However, accidents can and do happen in everyday life and a pair of sunglasses that offers a high degree of impact protection can mean a lot. Of course, no matter what the quality of the lenses your chosen sunglasses may have, these mean practically nothing if the frame does not fit you well. But what makes a good fit? A large frame will easily fall off your face while one that is too small can create pressure on your face. When trying on a pair of sunglasses, makes sure to move your head and face and observe how the frame moves around. Buying a pair of sunglasses can be considered as an investment. Check your options against these criteria in order to make sure that you are buying a pair that is worth your hard-earned money.